Rapper rants in the White House, a hurricane's devastation, Supreme Court showdown concludes and more. 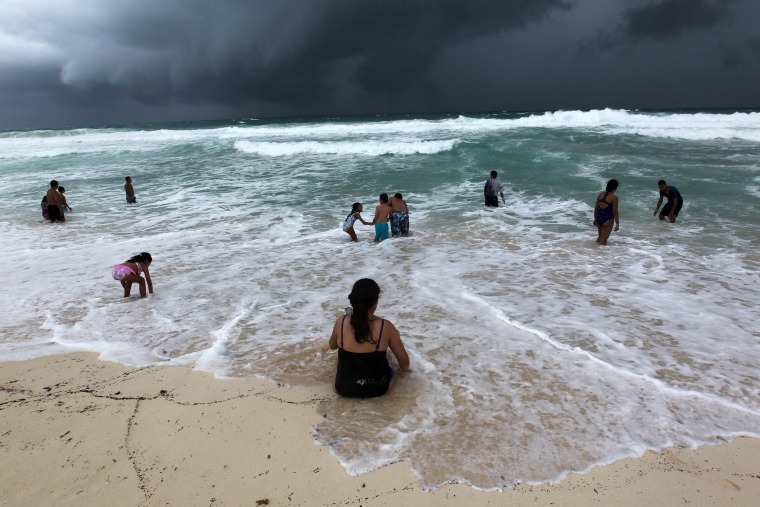 People swim in the turbulent sea in Cancun, Mexico, on Oct. 7, as Tropical Storm Michael churned in the Atlantic Ocean. By the next day, it had strengthened into a hurricane. 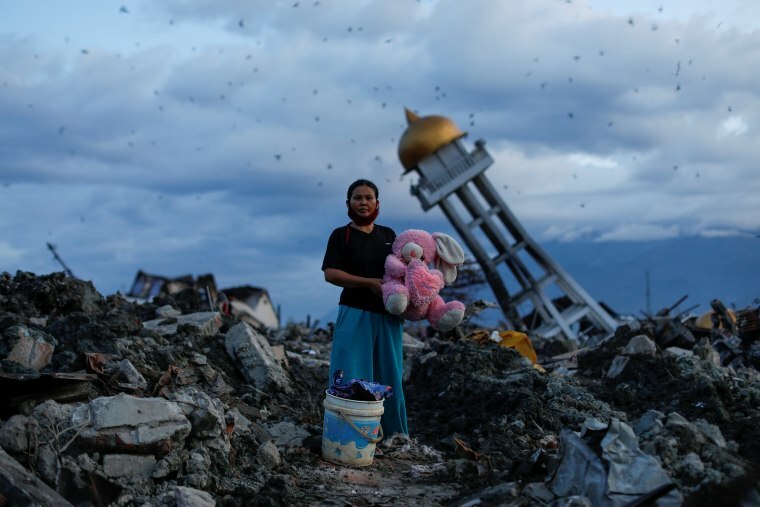 A woman holds a stuffed animal found at her destroyed home where she said she lost her three children, in Palu, central Sulawesi, Indonesia, on Oct. 7. Indonesia's search for victims buried in neighborhoods annihilated by an earthquake and tsunami is nearing its end almost two weeks after the double disasters hit the remote city of Palu. The death toll had risen to more than 2,000. 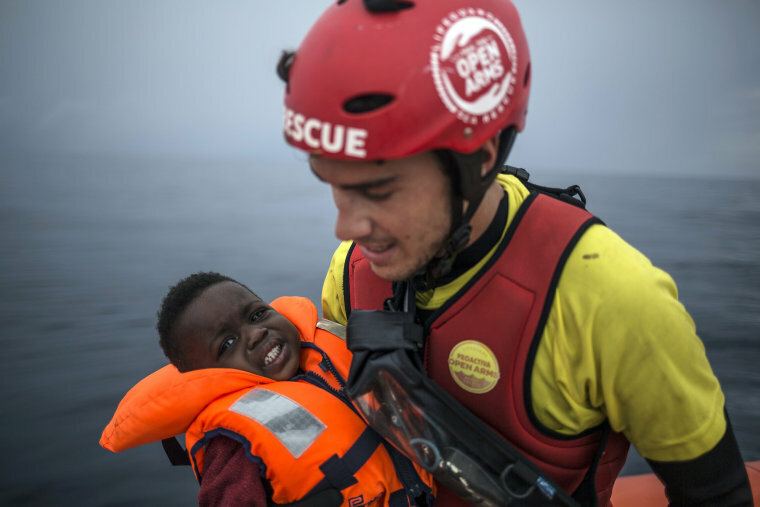 A member of Spanish NGO Pro activa Open Arms holds a young child rescued from a dinghy in the Alboran Sea, about 40 miles from the Spanish coast, on Oct. 11. Spain is increasingly the destination of migrants making the short, but dangerous trip across the Strait of Gibraltar as intensified policing blocks routes to Italy and Greece. 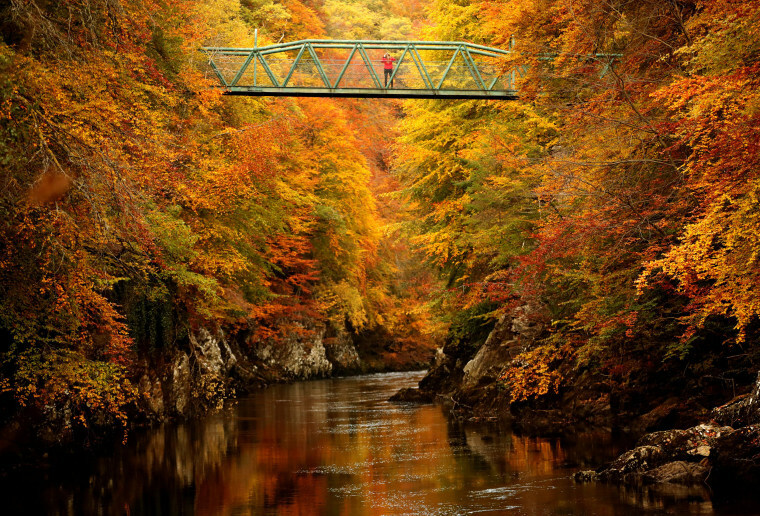 Surrounded by foliage, a woman stands on a footbridge over the river Garry near Pitlochry, Scotland, on Oct. 10. 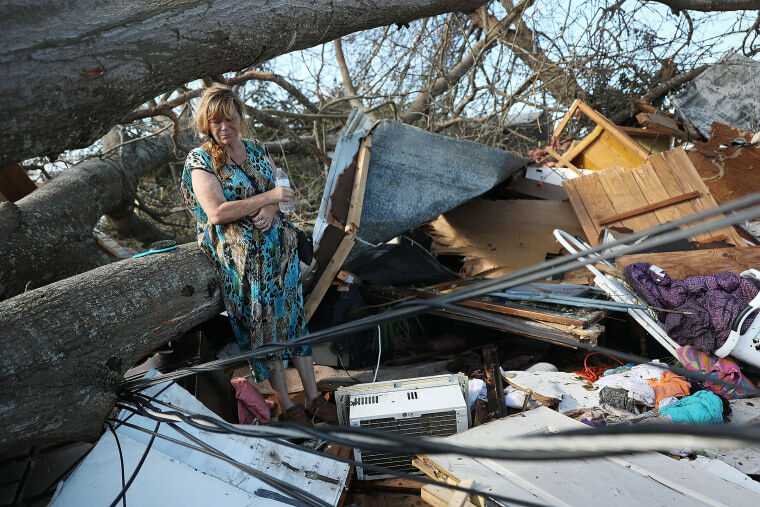 Kathy Coy stands among the remains of her home in Panama City, Florida, on Oct. 11, following the passage of Hurricane Michael. 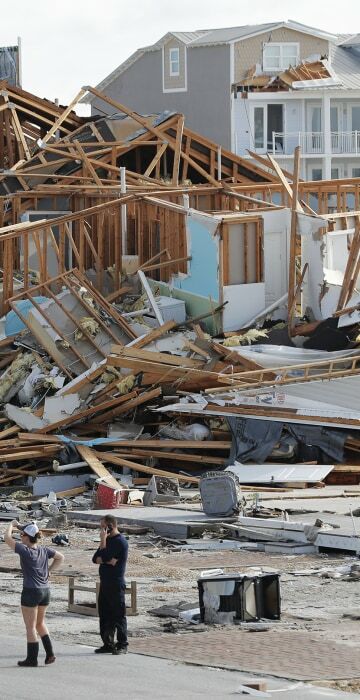 Hurricane Michael made landfall in Mexico Beach, Florida, on Wednesday just shy of Category 5 hurricane strength, with winds gusting at 155 mph. Florida Gov. Rick Scott said Thursday morning: "This hurricane was an absolute monster. And the damage left in its wake is still yet to be fully understood." 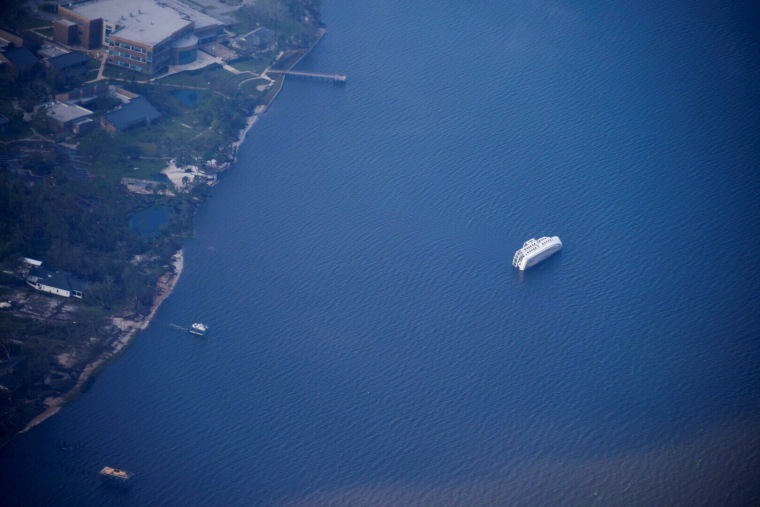 A boat lies on its side offshore near Apalachicola, Florida, on Oct. 11, as the U.S. Coast Guard performed an aerial assessment of coastal areas affected by Hurricane Michael. A child suffering from malnutrition lies on a bed at a treatment center in a hospital in Sanaa, Yemen, on Oct. 6. Poverty-stricken Yemen has been devastated by a the three-year war between a Saudi coalition and Houthi rebels. 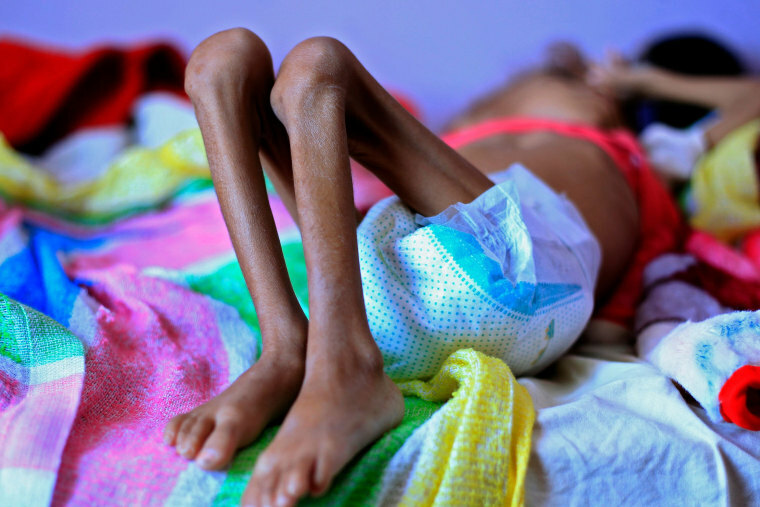 According to the U.N. Children's Fund (UNICEF), some 1.8 million Yemeni children are malnourished, making them more vulnerable to disease. 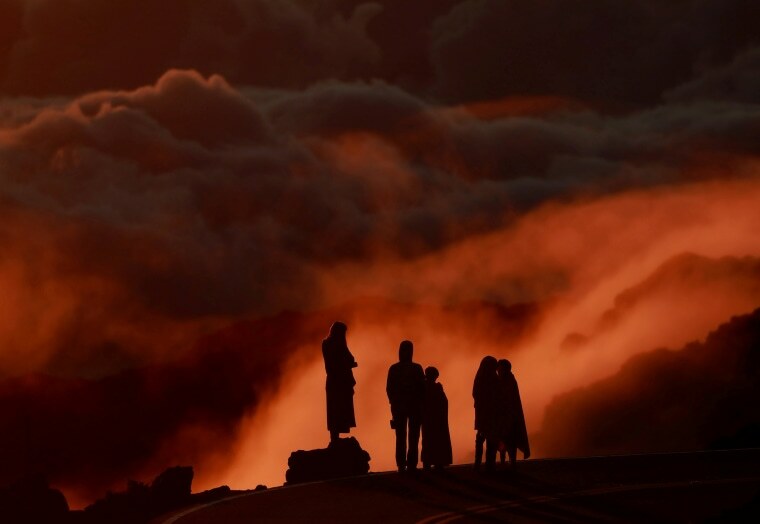 Light illuminates clouds as people watch the sunrise at Haleakea National Park in Hawaii, on Oct. 9. 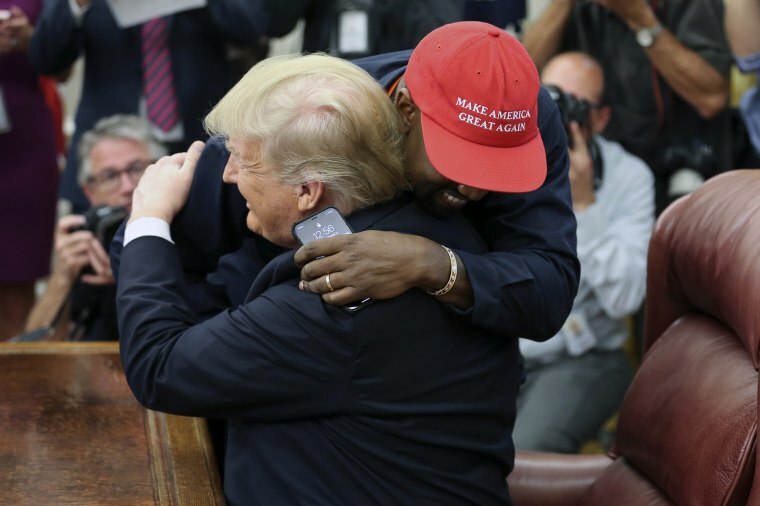 President Donald Trump hugs rapper Kanye West during a meeting in the Oval office on Oct. 11. West delivered a rambling speech about his mental health, his family, his business, "the universe" and his fondness for the president. Sporting a red "Make America Great Again" cap, West said Trump made him feel manly, and that's why he supported the Republican businessman over Democrat Hillary Clinton in 2016. 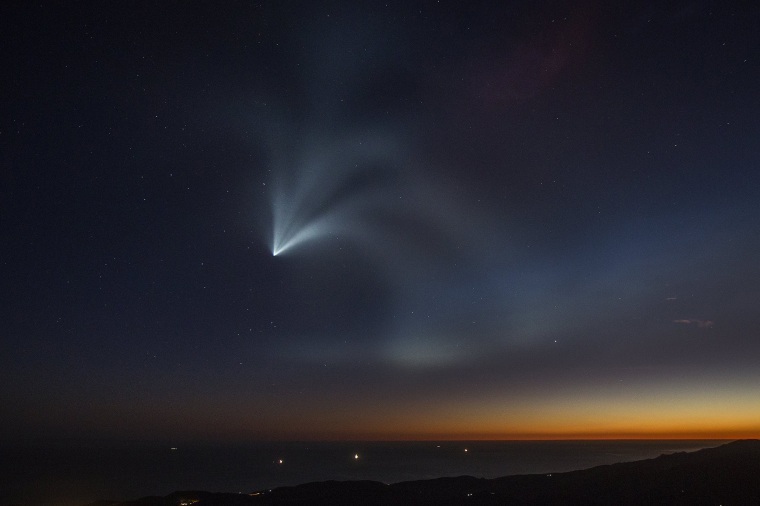 The SpaceX Falcon 9 rocket curves around the Earth and into space after launching from Vandenberg Air Force Base on Oct. 7, near Santa Barbara, California. The rocket carried an Argentinian Earth-observation satellite into space Sunday and for the first time landed a first-stage booster back at its California launch site. 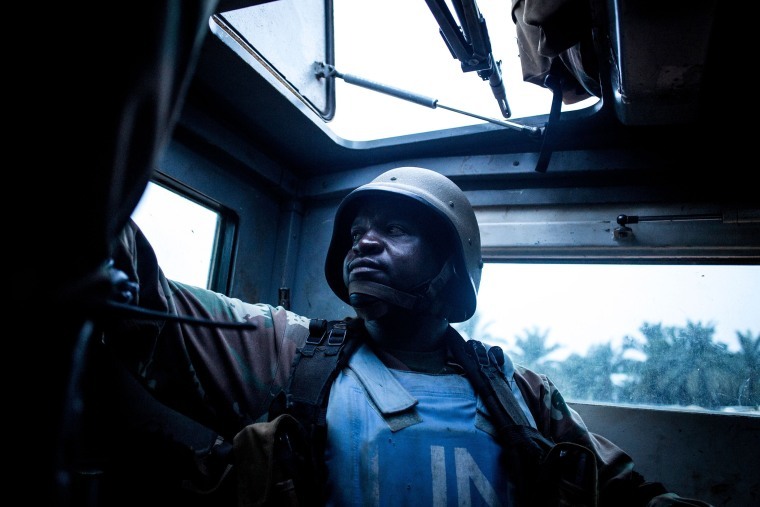 A South African soldier from the United Nations peacekeeping force in the Democratic Republic of the Congo looks out of the back of an armored personal carrier on Oct. 5 in Oicha. The town of Oicha is the site of constant attacks by the Allied Democratic Front (ADF) rebel group. 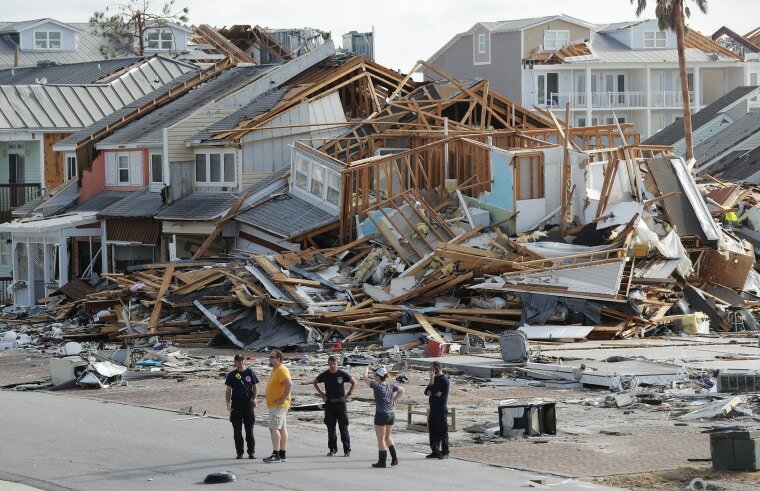 Rescue personnel search in the aftermath of Hurricane Michael in Mexico Beach, Florida, on Oct. 11. 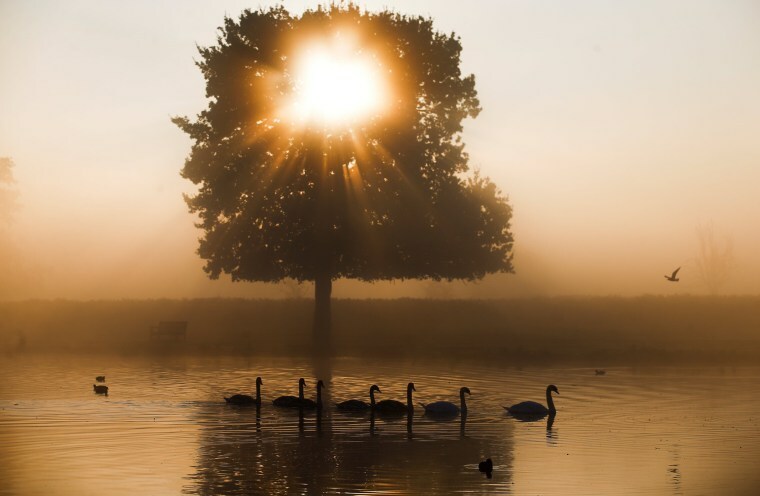 Swans swim at Bushy Park in London on Oct. 10. 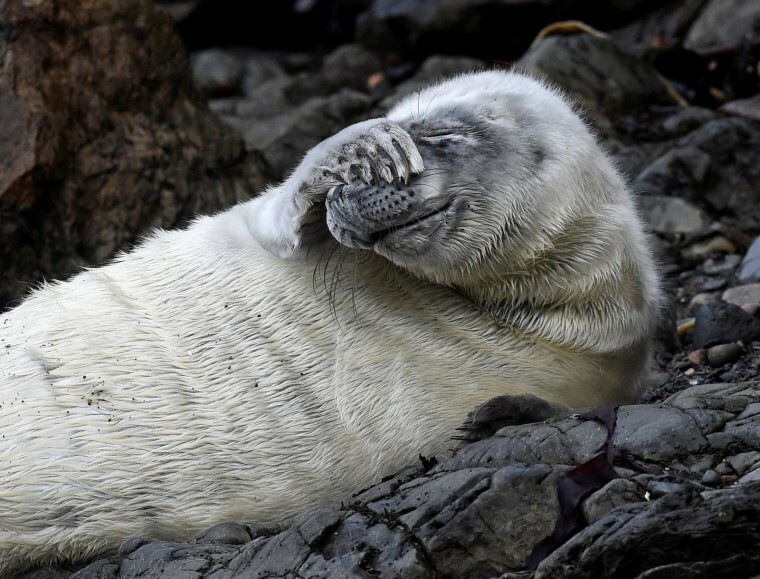 An Atlantic seal pup lies on the rocks at St. Martin's Haven, Wales, on Oct. 8. Seal pups are born with fluffy white non-waterproof coats which they shed in their fourth week. 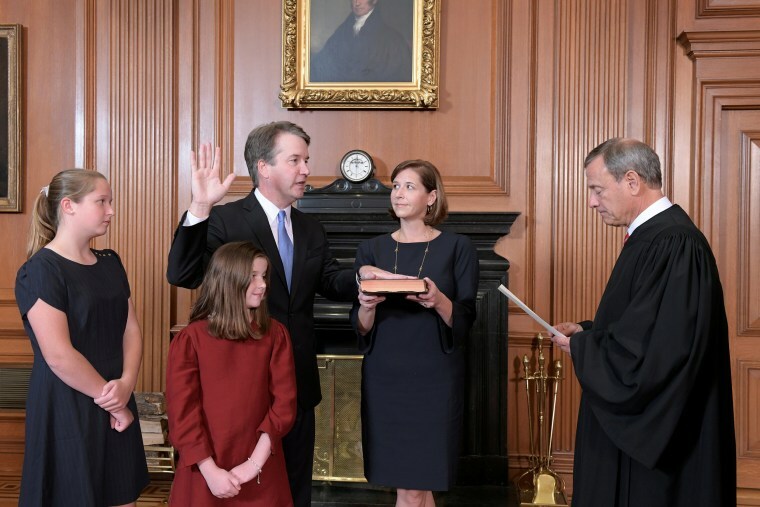 Judge Brett Kavanaugh is sworn in as an Associate Justice of the U.S. Supreme Court by Chief Justice John Roberts at the Supreme Court on Oct. 6. The acrimonious hearings in the Senate over Kavanaugh’s nomination have launched a national debate about sexual assault and whether women tell the truth about it. 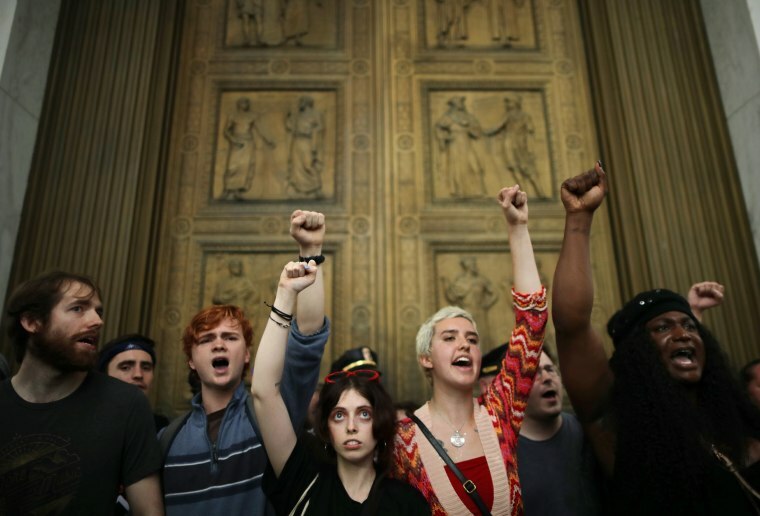 After overrunning police barricades, protesters block the doors to the U.S. Supreme Court as Justice Brett Kavanaugh was inside taking his oath. 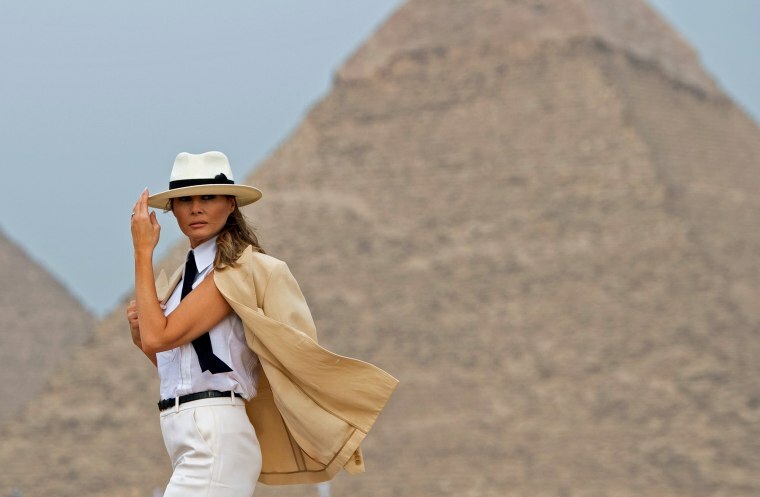 First lady Melania Trump visits the Giza Pyramids on Oct. 6 during the final stop of her weeklong trip through four countries in Africa. 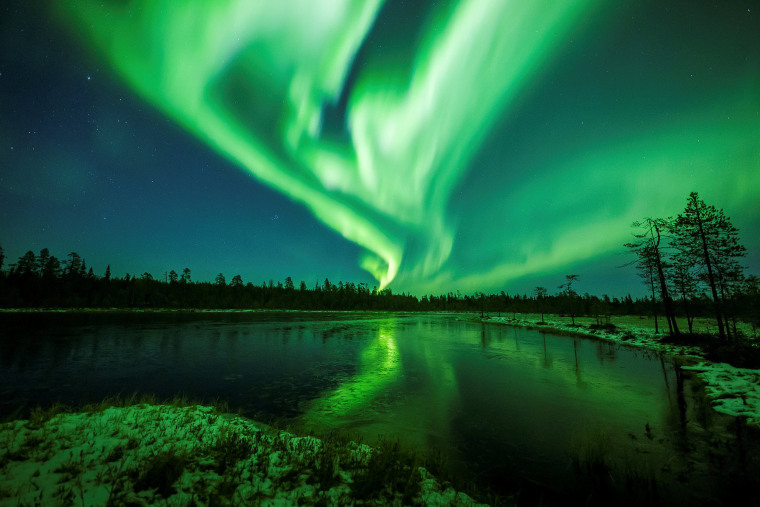 The northern lights, or aurora borealis, shimmer in the sky near Rovaniemi in Lapland, Finland, on Oct. 7.